This is the blog of My Living Will, an online tool designed to give people simple, easy to understand information about Advance Care Planning and how it works. Content ranges professional perspectives, patient stories and people’s experiences of creating a Living Will, to posts focussing on dementia, stroke and head injury and other chronic illnesses, and updates on what My Living Will has been getting up to. As a non-profit organisation, our aim is to help as many individuals as possible understand their rights under the Mental Capacity Act 2005 to make decisions about how they are cared for towards the end of life, through the creation of an Advance Decision to refuse treatment and an Advance Statement of their preferences and wishes (commonly referred to as a ‘Living Will’). We are also dedicated to enabling healthcare professionals to understand the remit of Advance Decisions and Advance Statements and, therefore, better approach conversations with their patients setting down their preferences and wishes for a time when they do not have the mental capacity to do so. My Living Will has been founded by Dr Isky Gordon, Emeritus Professor at University College London and Great Ormond Street Hospital retired consultant radiologist, and David Metz, a scientist and Honorary Professor at University College London. A diverse group of senior healthcare professionals, senior lawyers and an ethicist have overseen the creation of My Living Will’s online tool and website. A firm of solicitors, Bates Wells and Braithwaite, as well as a senior member of the Court of Protection have reviewed this website and are content that it conforms to the Mental Capacity Act (2005) both in detail and in spirit. To find out more about My Living Will, our online tool and our work, please visit our website. Over the past 8 years, Isky has run seminars on end-of-life issues in GP practices, hospitals and memory clinics in England, and for the past 5 years has taught medical students about the Mental Capacity Act (2005) and its implications for doctors. Currently, he takes a hands-on role at My Living Will; patients are referred to Isky from palliative care physicians and GPs to facilitate patients in creating their own Advance Decision to refuse treatment. Isky was born in Johannesburg, South Africa and qualified in medicine at the University of Witwatersrand, Johannesburg in 1966. 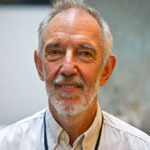 He was consultant radiologist at Great Ormond Street Hospital NHS Trust from 1976 – 2006 and Professor of Paediatric Imaging at the Institute of Child Health, University College London from 2001 – 2009. David is a scientist and former civil servant with a long-standing interest in ageing. 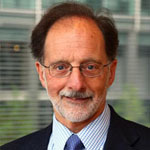 He is co-author of the book ‘Older Richer Fitter: Identifying the customer needs of Britain’s ageing population’ and was formerly a visiting professor at the Centre for Ageing and Public Health, at the London School of Hygiene and Tropical Medicine. He is also an Honorary Professor at University College London where his research interests include the mobility needs of an ageing population.